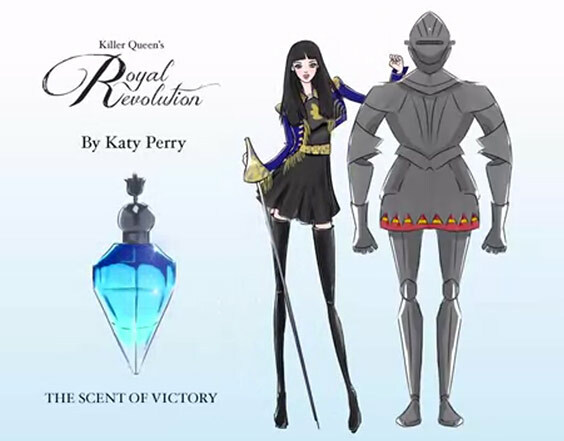 Killer Queen's Royal Revolution by Katy Perry - 50ml EDP - $59 - an irresistible floral, slightly fruity fragrance that captivates with top notes of ruby red pomegranate and pink freesia; heart notes of jasmine petals, orange flower and sandalwood; and base notes of mystical blackthorn, vanilla orchid and skin musk. The bottle is similar to her first two Killer Queen fragrances only this time in blue. What makes this one noticeably different from the others though is the whole storyline that goes along with the fragrance including a cute little animated movie - enjoy!